Offering a barbecue, Mercury Villas is situated in Kuaotunu, 18 km from Coromandel Town. Whitianga is 10 km from the property. Free WiFi is provided throughout the property. Located in Kuaotunu, this apartment is 21 km from Coromandel Town. Guests benefit from free WiFi and private parking available on site. An oven, a microwave and a toaster can be found in the kitchen. Featuring free WiFi and sea views, Kahukura is a holiday home, set in Kuaotunu. 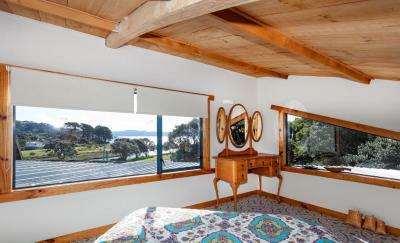 The property is 21 km from Coromandel Town and free private parking is offered. The kitchen features a dishwasher. Towels and bed linen are provided at Kahukura. Kuaotunu Cabins is a holiday home situated in Kuaotunu and featuring free WiFi and a patio. You can fire up the barbecue for a tasty meal and enjoy the garden in fair weather. Free private parking is available on site. 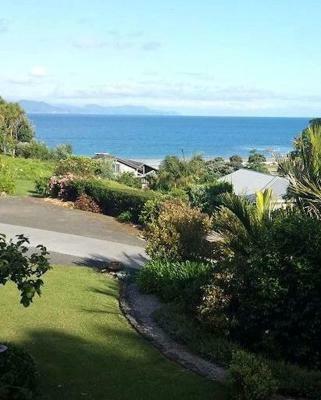 Featuring a barbecue, Ocean Cliff Court is a detached holiday home situated in Kuaotunu. Guests benefit from free WiFi and private parking available on site. The kitchen has a dishwasher and an oven, as well as a kettle.